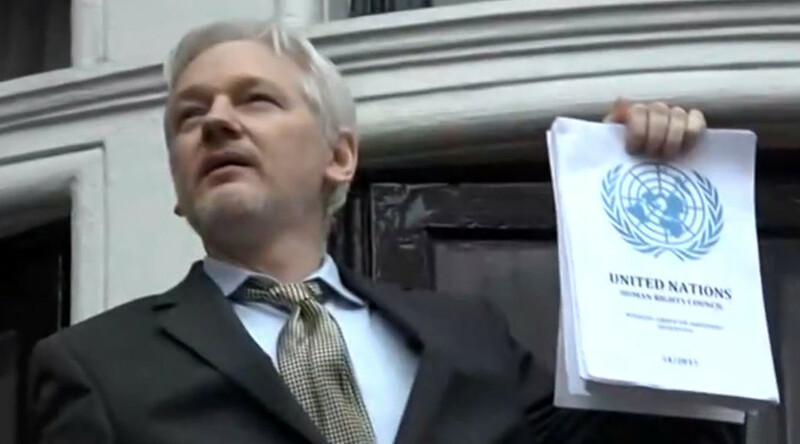 “How sweet it is!” Assange proclaimed as he stood before the cheering crowd with a copy of the UN Working Group on Arbitrary Detention (WGAD) decision in his hands. “This is a decision under international humanitarian law fighting the UK, Sweden, and the US for the most part,” he said. “The UK and Sweden lost at the highest level,” Assange said, adding that both countries didn’t use their chance to appeal the UN ruling because they knew that they had no chance of success. Assange warned that if his “illegal, immoral detention” continues despite the decision, those responsible for it in the UK and Sweden will face criminal charges. After exposing corruption at the highest international level for 20 years, Assange said that he expected persecution. “But what right does the US, UK, Sweden have to deny my children their father for five-and-half-years without charge… Today they have their father back,” he said. Assange concluded his speech by thanking everybody at the UN, the people and the government of Ecuador, all his supporters worldwide as well as the “good people” in the governments of the UK, Sweden and the US. The whistleblower has been holed up for over three years at the Ecuadorian embassy in London after being granted asylum by the country in order to avoid extradition to Sweden, where he faces sexual assault allegations. 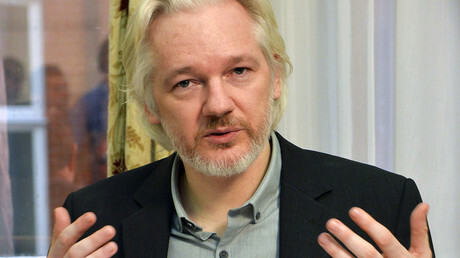 Assange filed a complaint against Sweden and Britain to the UN Working Group on Arbitrary Detention in September 2014 after exhausting all other legal options in the fight to regain freedom.